Does my child need to visit the dentist? Yes. If your child is over the age of one they need to visit a dentist. It might seem early but it is best to get your child familiar with visiting the dentist and learning about dental care from early in their life. Many parents have gone through their own dental issues and want to prevent their children from experiencing the same problems. The following information will help you take care of your child’s teeth. The dental industry has designed fun and exciting toothbrushes and deliciously flavored toothpaste for children. This creative effort is to help make dental care fun and encourage children to take better care of their teeth. As a parent, you can take it an extra step forward by making brushing and flossing sound fun and rewarding. You can even make up a cute song that will keep your child interested in caring for their teeth. Your child most likely enjoys eating candy and desserts. You can start early in their life by eliminating or avoiding foods that can erode tooth enamel. The most common types of food to avoid are fruit juices with added sugar, sugary foods, fruit roll-ups, and any sugary candy or substance that easily sticks to teeth. If you are unable to prevent your child from consuming these foods, encourage your child to brush their teeth immediately after eating the treats. Parents have busy schedules and tend to postpone dental appointments for their children because they have baby teeth. Unfortunately, delaying a visit to the dentist for too long can result in tooth decay and other issues that went unnoticed by parents. Usually, when a baby tooth has a cavity that doesn’t get cared for properly by a professional it can cause the adult tooth to grow in and decay also. Gum issues and other serious oral problems can also occur if your child doesn’t visit the dentist on a regular basis. As your child’s adult teeth begin to appear they will grow in at certain angles. If you notice your child’s teeth are pointing in different directions or looking crowded you need to see a dentist immediately. This could be a sign your child will have crowded teeth and might need orthodontic care in the future. Only a dentist can determine if a visit to an orthodontist office will be necessary. Protecting your child’s teeth is easier than you think. Do your best to eliminate sugary foods and sticky candy from their diet. If they do eat sweets make sure they brush their teeth right away to remove the sugary residue or sticky grime. Teach your child that brushing their teeth is fun and always use fluoride toothpaste. Get started on the right track by making an appointment with a pediatric dentist today! Kids love Dr. Jacquie Smiles and our staff. Parents trust us! Setup your appointment today by calling us at 212-972-3522 or fill out the contact form to learn more. 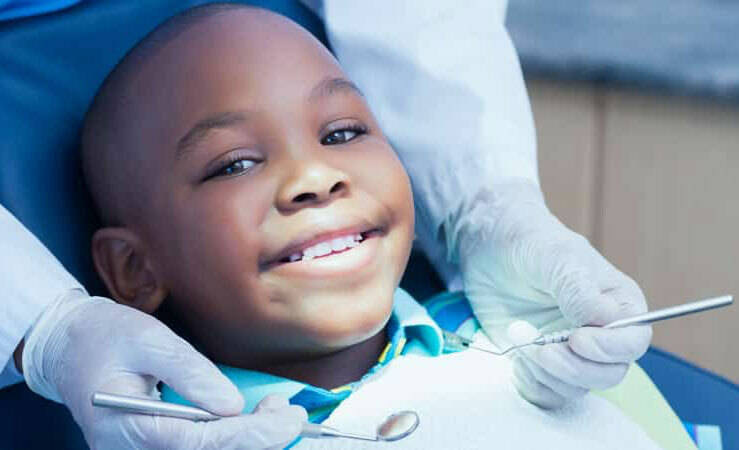 Dr. Jacquie Smiles is an orthodontist specialist in NYC who can provide a consultation for your child to help determine the proper orthodontic treatment plan and to help avoid the need for surgical correction in the future. Her office is conveniently located in Midtown Manhattan near near 30 East 40th Street Park Avenue, New York, NY 10016.